Bayview Gallery, together with its predecessor company, The Pine Tree Shop, has served discriminating art buyers for more than four decades. 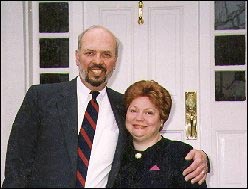 The current owners, John and Susan Starr, purchased the business from the founding family in 1996. At that time, the primary focus of the gallery was prints and custom framing, with some original paintings by area artists. Following their purchase, the Starrs began transitioning The Pine Tree Shop into Bayview Gallery by attracting painters with strong regional and national reputations to join its roster. Less emphasis was placed on print sales and custom framing, and those lines have been largely discontinued. Our retail gallery is located on Maine Street in Brunswick, Maine, a town steeped in the hallmarks of traditional Maine businesses: fishing, stone-works and textile mills. Brunswick, "the Gateway to Downeast," is home to Bowdoin College and its beautiful, recently-renovated Walker Art Museum. The town boasts and active community with a sufficient regional population to support many cultural events, while remaining small enough to attain national acclaim for its quality of life. We provide our clients with fine Impressionist and Realist paintings of Maine and New England. Toward that end, we work closely with our clients when placing art in their homes, we make house calls when requested and feasible, and we send artwork on-approval when distance prevents direct interaction. The strength of our business lies in the relationships we forge assisting and guiding our clients in their search for the perfect addition to their homes and offices. We maintain our website in-house to ensure that visitors to our site have an opportunity to view the same inventory as those coming to the gallery in person. We publish our prices to provide transparency and comfort to our clients as they search for the next piece to add to their collection. We look forward to your visit. When you come, please ask for us.